A long time ago, Nelson Mandela, 95 was a reference to the struggle against apartheid (opt-out) that is already in practice in South Africa. In South Africa, the Apartheid refers to the exclusion of white people with black people. Mandela is a lawyer who was arrested several times due to his struggle. In 1962, he was arrested and convicted on charges of sabotage and conspiracy to overthrow the government in which Mandela was sentenced to life imprisonment. After 27 years of imprisonment, an international campaign to free Mandela was made and approved in 1990. 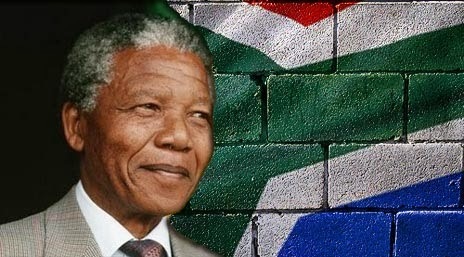 Apartheid has been abolished when he became the first black president of South Africa in 1994. After five years, Mandela eventually have resigned from the political arena. Mandela returned to his hometown in Johannesburg and it was the last time he appeared in public during the final World Cup Soccer in South Africa on July 2010. Mandela has been married three times and is blessed with six children. The health condition of the ageing anti-apartheid icon Nelson Mandela, sparked fears in the African continent after he was hospitalized earlier last year due to acute respiratory infections. After several months of treatment, he finally breathed his last breath at his home because of a lung infection he suffered. His passing was felt all over the world. The obituary announcements were made by the President of South African, Jacob Zuma.